Our customers are happy with their solar pv installation but are looking for ways to improve the efficiency of the solar PV and to make the most of the solar electricity that is produced, with many people out at working in the day being at home to take full advantage of the electricity can be hard so on this page we will be adding products which will complement and improve your solar PV system. 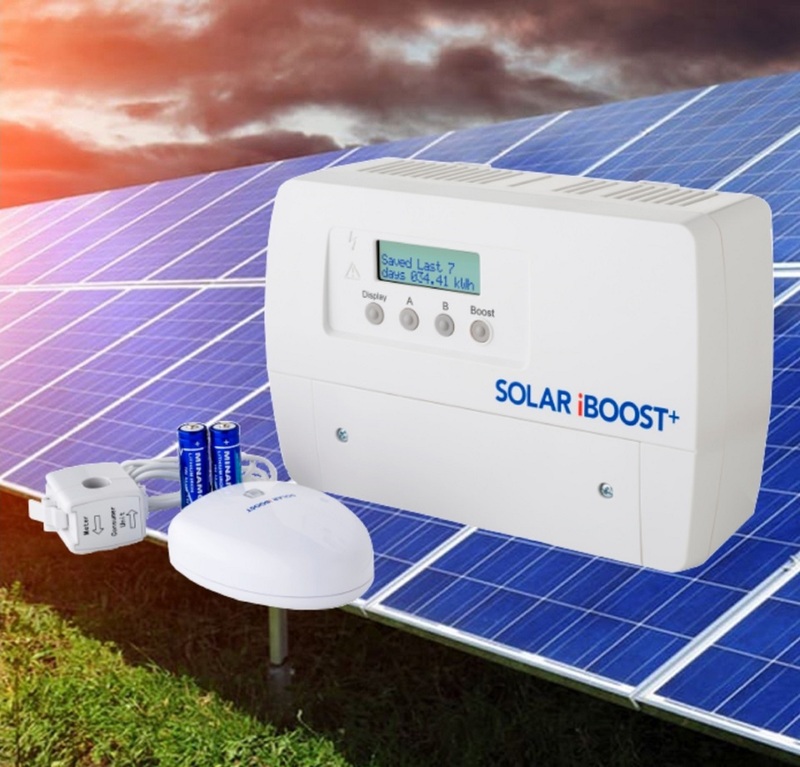 Solar iBoost is a valuable addition to your solar PV installation which maximises your use of generated electricity. It controls the immersion heater in your hot water tank. It automatically adjusts the power going into your hot-water tank so as to use up excess power from the solar panels. Having had PV solar panels installed on your roof, you have probably realised that you generate more power than you can use whenever the Sun comes out. This excess electrical power is normally “exported” via your electricity meter to the National Grid, where it is “sold” to your electricity supplier. However, it costs you a lot more to buy the same amount of electricity back. Your Solar iBoost water heater controller will help you use up some of this excess power by diverting it into your hot water tank. This reduces your normal water heating bill and saves you money, whether you heat your water by gas, oil, wood, coal, or electricity. reduce the incoming voltage supplied to a building. This produces a reduction in energy consumption, savings on electricity bills and reduced wear on appliances. VO4HOME can make savings across a range of sites. 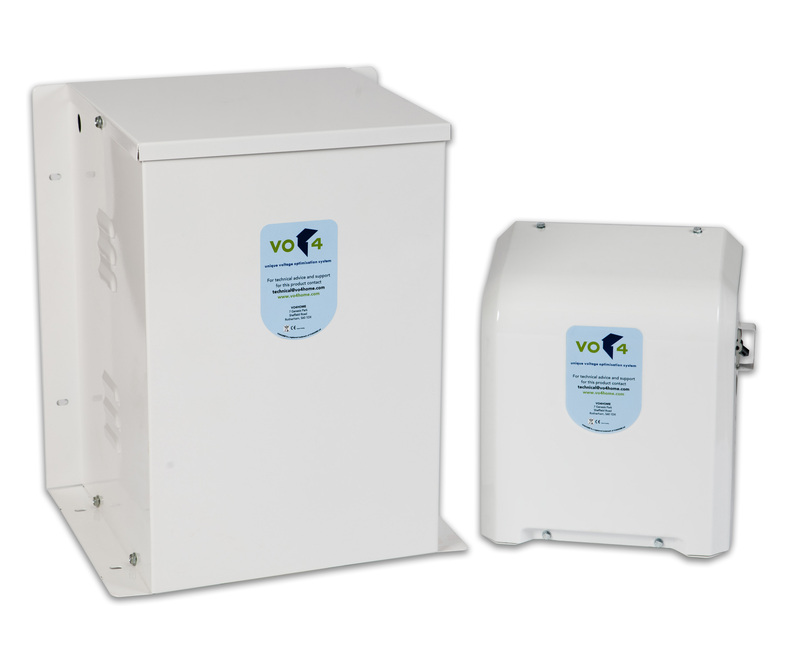 The VO4HOME domestic voltage optimisation system will also improve the energy efficiency of your home by optimising the voltage output to reduce energy consumption, lower carbon emissions and save money on electricity bills. Most electrical equipment manufactured for Europe and the UK is rated at 220V and may indeed operate at an even lower voltage. The average incoming voltage to a home from the National Grid is 242V (although it can be as high as 253V). There is nothing to be gained by operating equipment at a voltage higher than it was designed for; quite the contrary as over-voltage will significantly reduce the life expectancy of most household appliances. The VO4HOME voltage optimisation system optimises the whole home which leads to bigger savings than optimisers that work on selected circuits. The system is easily installed with a simple 2 wires in and 2 wires out installation that does not require you having to change your consumer unit to use VO4HOME. Even though most panels are supposed to be self cleaning, making sure they are as clean as possible is very important as the more sun light the greater amount of electricity produced, we are seeing increase of upto 20% more output from commercial system which have a regular cleaning regime in place. knowing how to clean the panels correctly and with the right equipment is important so it worth getting in a specialist.